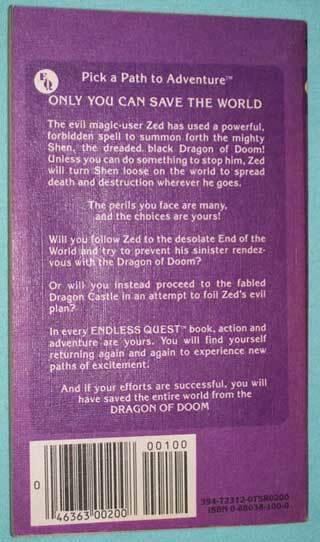 Popular in the 1980's, Endless Quest books, by Dungeons & Dragons, gave readers a choice of how to proceed while reading resulting in different endings based on the choice that was made. Amazon Payments, Paypal, Bitcoin, Cash, Money Order, Cashier's Check, Unused U.S. Postage Stamps and U.S. or Canadian 'Silver Coin' ( 1964 or prior - 14 to 1 ratio ). 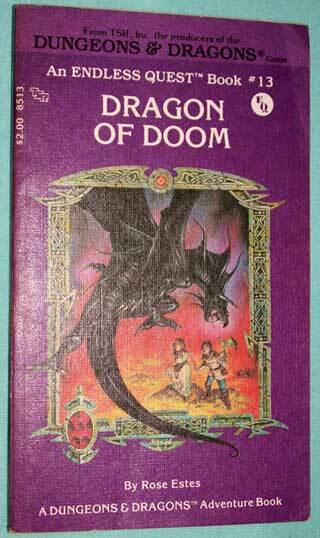 Endless Quest Adventure Book # 13, by the producers of Dungeons & Dragons game. 157 + pages. The several extra pages are ads. S & H in the U.S.A. is $2.00. 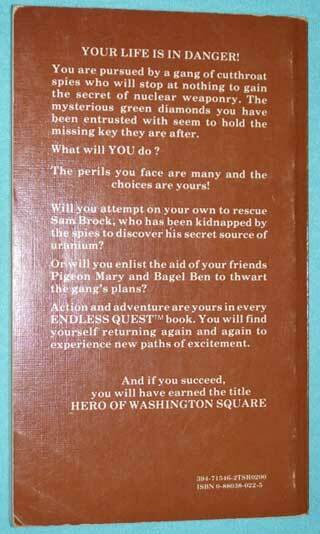 Endless Quest Adventure Book # 1, by the producers of Dungeons & Dragons game. 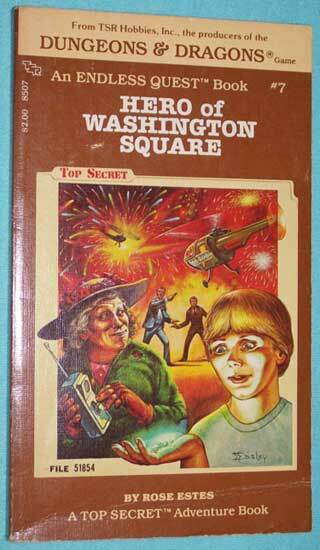 TSR Publishing, Fifth Printing, 1983. 128 + pages. The several extra pages are ads.. 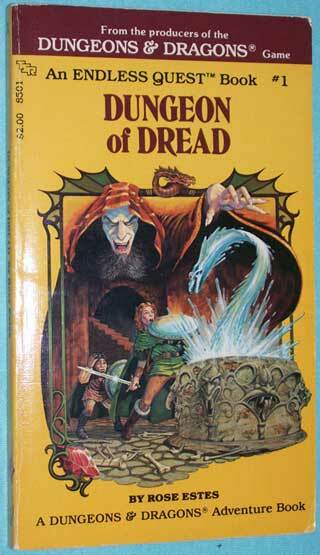 Endless Quest Adventure Book # 7, by the producers of Dungeons & Dragons game.